Prior to the mid nineteenth century men and women in England were routinely imprisoned for debt at the pleasure of their creditors, sometimes for decades. They would often take their families with them, the only alternative for the women and children being uncertain charity outside the gaol. Entire communities sprang up inside the debtors’ prisons, with children born and raised there. Other European countries had legislation limiting imprisonment for debt to one year, but debtors in England were imprisoned until their creditors were satisfied, however long that took. When the Fleet Prison closed in 1842, some debtors were found to have been there for thirty years. A debtor could be worse off after a few years in prison than when he or she entered. Because prisons were privately administered, whole economies were created around their inhabitants, with the prison keepers charging rent, bailiffs charging for food and clothing, attorneys charging legal fees in fruitless efforts to get the debtors out, and creditors, often tradesmen, increasing the debt simply because the debtor was in gaol. Debts could accumulate to the point where there was no realistic prospect of release. A few prisons, such as the Fleet, catered only for debtors but most were sent to prisons that housed a mix of petty and vicious criminals, though they were kept in separate wings. 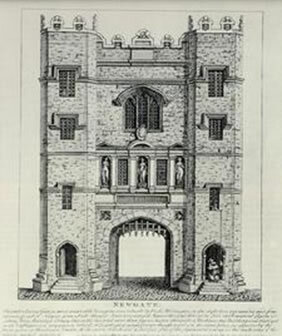 Newgate, for instance, used to imprison those awaiting execution after the gallows, was moved there from Tyburn in 1783. For much of the nineteenth century Newgate was London’s main prison and public executions outside the building drew large crowds. It was not until 1868 that executions were moved inside Newgate, Michael Barrett being the last person to be publicly executed in Great Britain on 26 May 1868. 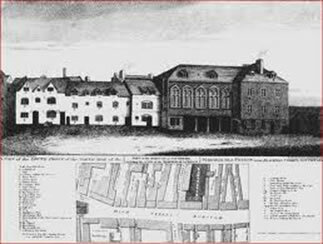 Apart from Newgate and the Fleet, other London prisons that housed debtors included Coldbath Fields Prison, King’s Bench Prison and Marshalsea Prison. Marshalsea dated back to the 14th century and was situated in Southwark on the south bank of the Thames. Its prisoners were varied: men awaiting court martial, political figures and intellectuals accused of sedition and of course, debtors. If you were a prisoner with money at Marshalsea, you could visit its shop and restaurant as well as be allowed out during the day to earn money to satisfy your creditors. Without money, you were crammed into one of nine small rooms with dozens of others. A parliamentary committee reported in 1729 that 300 inmates had starved to death within a three-month period, and that eight to ten prisoners were dying every twenty-four hours in the warmer weather. The prison became known around the world through the writings of Charles Dickens, whose father was sent there in 1824 for a debt to a baker. He was forced to leave school at the age of twelve for a job in a blacking factory in order to help keep his family at the Marshalsea. 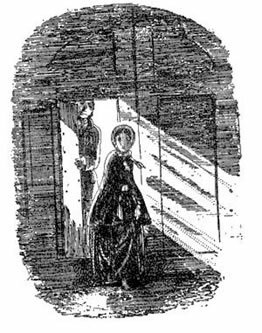 Dickens based several of his characters on his experiences, most notably Amy Dorrit and her father, also a Marshalsea debtor. After most of the prison was demolished in the 1840s, Dickens wrote, It is gone now and the world is none the worse without it.